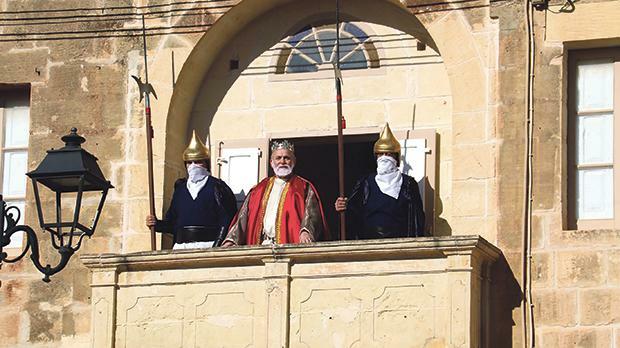 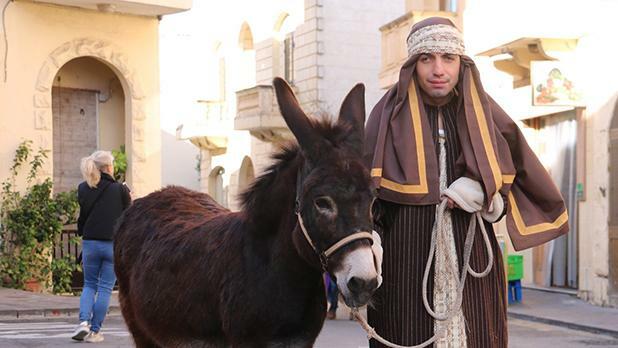 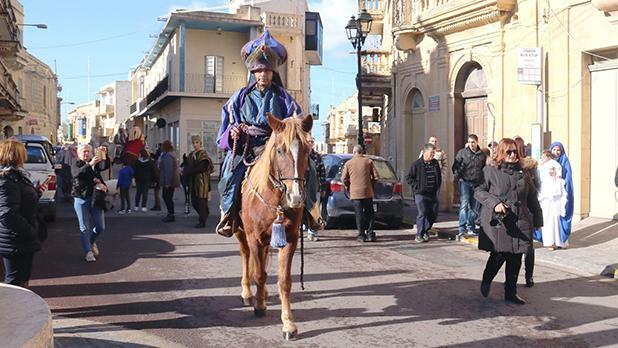 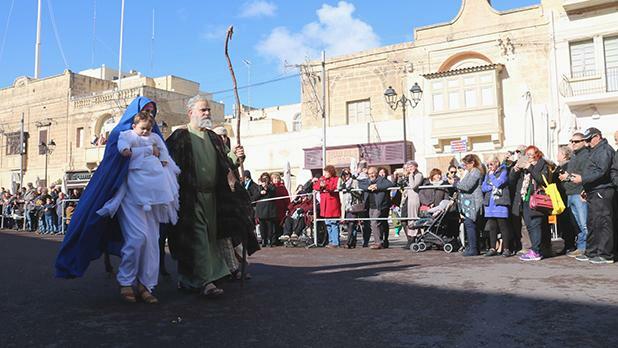 The arrival of the Three Wise Men was also re-enacted at Victory Square, Xagħra. 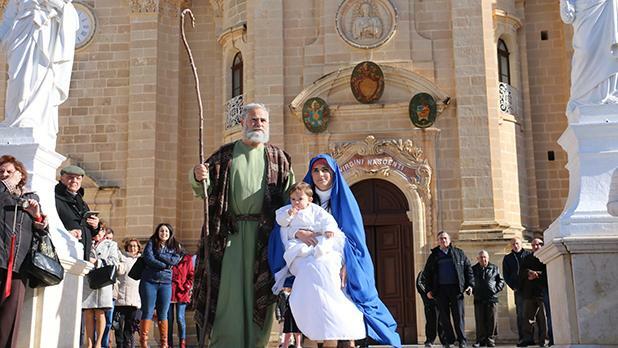 Mario Agius and his daughter Graziella Casha, depicting Mary and Joseph, carrying Baby Jesus, played by one-year-old Matthias Casha, made their way to Xagħra basilica, followed by the shepherds and their flock who paid homage to Baby Jesus. 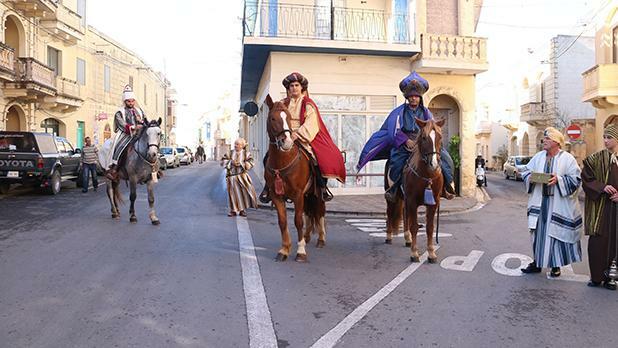 The Three Wise Men, riding on horseback, converged on the square from three side streets. 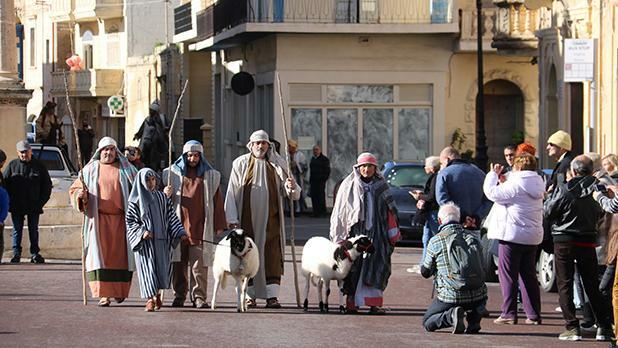 The proceedings were eerily watched by King Herod the Great, a ruthless tyrant who, on hearing from the Wise Men that a new king had been born in Bethlehem, killed all the male children under two years in that town.